I’ve been setting aside February 5th to be with my grandma on her birthday and I’m so grateful the weather cooperated! I slid in to her kitchen at 10:30 to play rummy which I desperately wanted to NOT win but accidentally did and she wouldn’t let me forget it for the rest of the day. We drank coffee as thick as mud and listened to eclectic music and news on the radio. My uncle came and read the paper, watched the birds, and just chatted which was so luxuriously relaxed it felt heavenly. He reminded grandma that she was 87 and she insisted for a while that she was 84. When she finally relented she asked (outraged), “Oh! 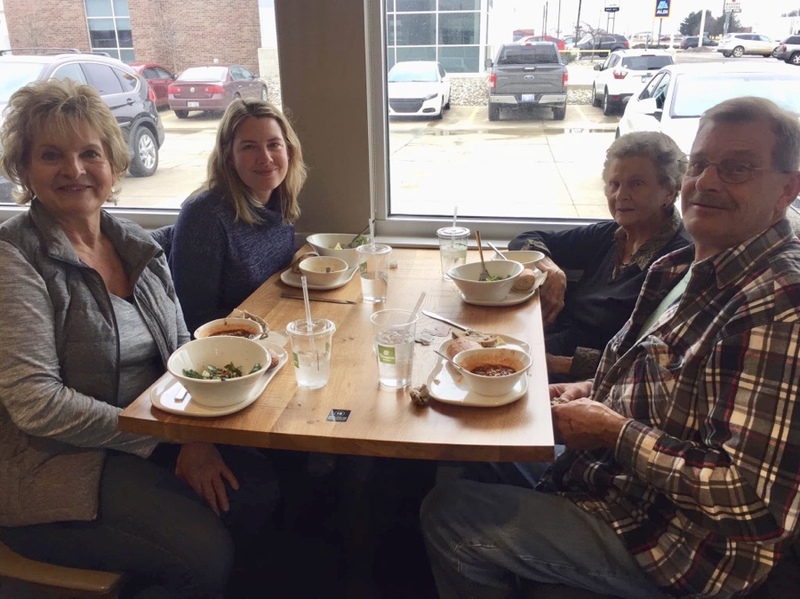 Why am I STILL alive?” Finally my aunt arrived and we all went out to Panera (where my soup & salad-loving grandma has never been). I had to drive us there in my grandma’s Buick for some reason which was simultaneously terrifying and hilarious. 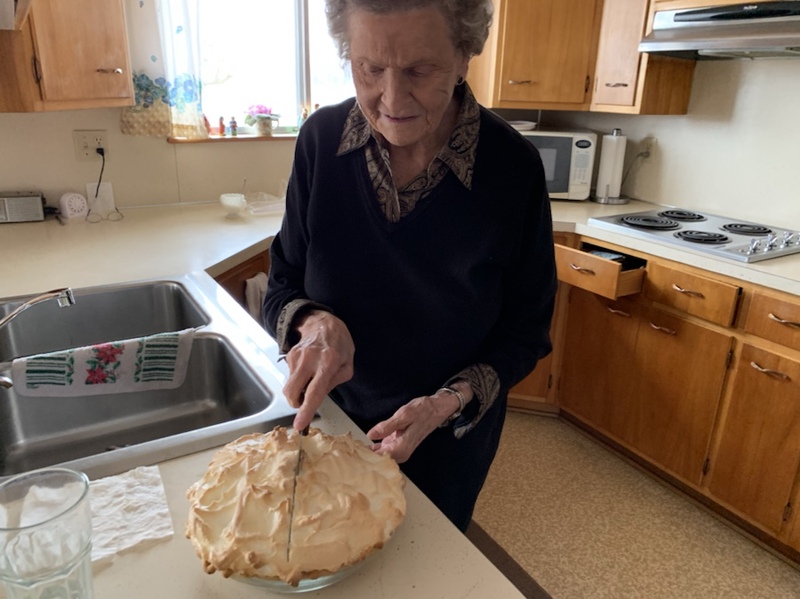 Then we came home and had the biggest slice of fresh-made lemon meringue pie you’ve ever seen. In a nutshell, best Tuesday ever.